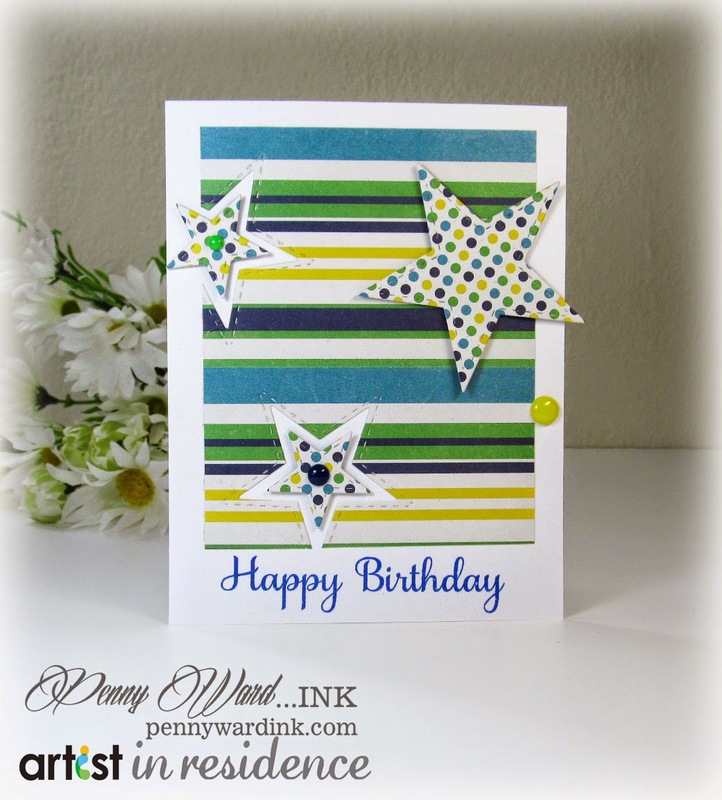 Found myself needing quite a few birthday cards and I wanted a fairly simple card I could make over and over, yet get a different look using pattern papers. 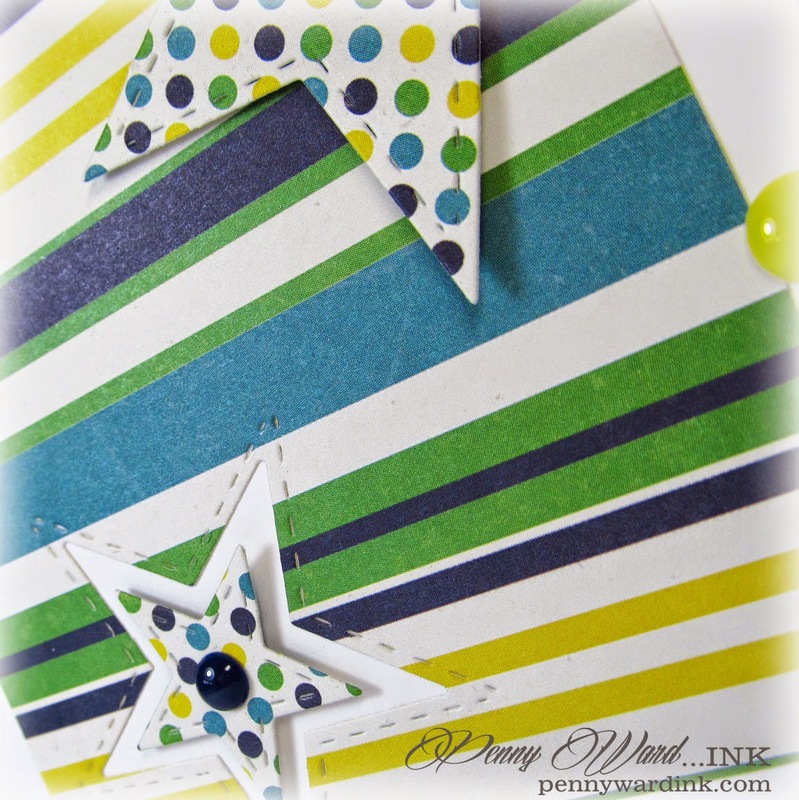 I absolutely love this 6 x 6 pad by My Mind's Eye. Keep the layout, just change the papers for a unique look every time. Love it, Penny! You're so right, you can really change up the look of this just by changing up the papers - I've pinned it for inspiration! Love the awesome amounts of versatility that you show here. Wsy to go - it is a fantastic card and a fun idea!! !